The world's first-ever Guybrator now made for that guy on the go! 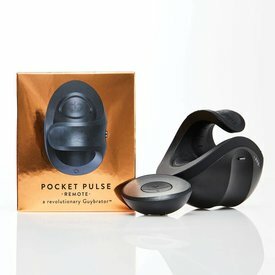 Lightweight and versatile, the Pocket Pulse Remote acts as a vibrating "stroker," which can be used either flaccid or erect. Once erect, this toy can be enjoyed completely hands-free.